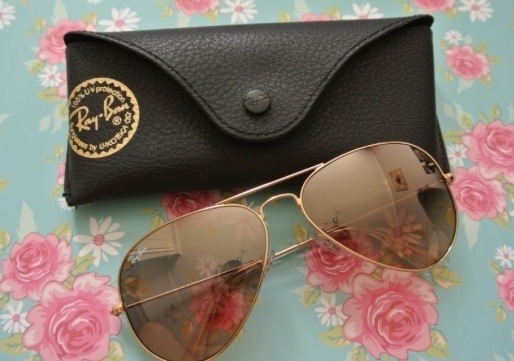 I have to say that one of my favorite Christmas gifts this year was a pair of rose gold Ray Ban Aviators! I have admired these beauties for several months now and am totally in love with the “look”. Let’s face it, wearing sunglasses today is more about looking good than protecting your eyes from UV rays. (At least that’s what we think!) Luckily, my mom is one who always takes health benefits into consideration. It’s nice to know that this company has been working hard to make sure their sunglasses are not only fashionable, but are safe to wear in the sunshine state! With Ray Ban sunglasses, you can be sure you’re getting the degree of UV protection recommended by North American optometrists.